Rob Lister’s book God is Impassible and Impassioned: Toward a Theology of Divine Emotion was easily the biggest surprise from Crossway of this last year. On top of that, it was (dare I say it!) my favorite book of 2012. I had thought that I would never again see a robust defense of the old-school, mainstream Christian view of divine impassibility in a non-academic form. 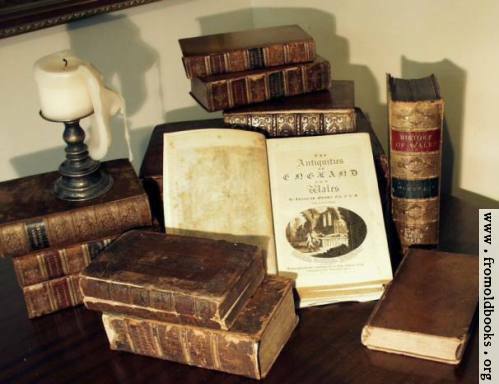 Even among those who ought to be defending the historical Reformed doctrines, many have adopted modified versions of divine impassibility that seem to back away from traditional teachings on the subject. Given the apparent contemporary retreat of classic doctrines such as simplicity and impassibility, each page was read by me with some trepidation. I kept reading it, expecting some sort of backpedaling or compromise on the doctrine of immutability. In the end, I have to hand it to Rob Lister – he pleasantly surprised me and has written one of the finest defenses of the orthodox doctrine of divine impassibility that I’ve seen. Perhaps even more to his credit, this is a book that curious church members can read – you don’t need a PhD in Philosophy to understand the book, thankfully. That isn't to say that you could give it to your grandma, either. There's meat here that takes a lot of chewing - especially the last two chapters. It is the conventional wisdom of critics of divine impassibility that impassibility is a philosophical hold-over from the Hellenistic thought that was imbibed by the early church fathers. Recognizing this, Lister begins the book by surveying the Hellenistic views of impassibility, arguing that the similarities that contemporary critics of impassibility point out are merely superficial. He then goes on to show that when the Pastristics wrote in defense of impassibility, they did so with Scriptural foundations and that their doctrine of impassibility was not the strictly philosophical construct those modern critics of the doctrine would have people believe. These chapters also serve to offer representative formulations of the doctrine. This helps the book in the sense that the book is not simply about a nebulous doctrine that is never explicitly defined, but that it is a specific doctrine taught by a specific people, grounded in a common Christian approach to interpreting God’s emotions as demonstrated and taught in Scripture. The second half of the book is Lister’s attempt to “develop this historically precedented and biblically required model, here entitled ‘Impassible and Impassioned’” (171). He begins this part of the book by facing down the hermeneutical realities of a defense of impassibility. The Bible does not oppose the idea of drawing metaphysical conclusions from it, for starters. He quotes Paul Helm, who says that “the Bible does not repudiated developed metaphysics; rather, for the most part it obliquely sidesteps it.” Passiblists, however, argue as if Scripture precludes such thinking. In this, however, there is a manifest inconsistency on their part. Lister points out: "In the case of contemporary passibilism, it is interesting to observe the following inconsistency: On the one hand, as we have pointed out, passibilists often suggest that they are suspicious of metaphysical reflection. On the other hand, they are very quick to appeal to Scripture's many narrative depictions of God's emotional involvement with creation as grounds for the metaphysical doctrine of divine passibility” (173 n7). In Chapter 9 Lister sets forth a more nuanced version of the model he has spent most of the book assuming. Lister begins with the Creator/creature distinction. From the get-go, according to Lister, this distinction implies that “as God’s image bearers, we are God’s analogues and not his ontological peers. Thus, it will not do to assert a set of univocal conclusions about God, based on our experience as image bearers” (219). He elaborates by pointing to the ontological and ethical distance between the Creator and his creatures. This is important because, if true, it keeps us “from extrapolating from our creaturely and sinful experience to a univocal assertion of what God’s emotional experience must be like” (221). This Creator/creature distinction (“and not reckless metaphysical speculation”) grounds the Christian’s right understanding of transcendence and immanence. Although Lister finds much agreement with Paul Helm with regard to impassibility, it is worth noting, as an aside, that he does have one fundamental disagreement with him. Helm argues that “God can never experience emotion as an affect” (231). Lister responds: “I would say that God can never experience emotion as an involuntary affect, rather than saying that he can never experience emotion as an affect in any sense. With regard to God’s temporal interactions, then, says Lister, “in view of his freely self-willed condescension, he may also be responsive within the time continuum that in himself he stands over as Lord” (231). Although I consider myself more of a black coffee impassiblist and tend to sympathize with Helm’s formulation, I do think that Lister is right here. Helm’s construction is too reductive in that it forces one to choose between God as either eternal or relational. For Lister, God’s emotional interactions with temporal creatures are founded upon his unchanging nature. “God’s relational passions accord completely with his will, but his passion is no less passionate for being perfectly voluntary” (243). Put another way, “Though God’s covenantal affections toward a fallen creation are new affective manifestations of God’s immutable self-commitment, they are not random, disconnected, and ex nihilo emotional experiences. Rather, they are the suited emotional manifestations of divine love in the face of a fallen and rebellious order” (243). 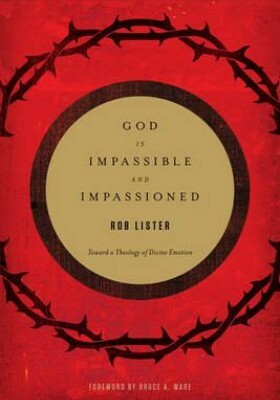 Lister’s concludes the chapter laying out his theological formulation of impassibility by stating that God’s ontologically transcendent passion is his impassibility. Consequently, God’s ethically transcendent passion is what he terms his impassionedness (251-252). There is something symmetrically appealing about this conclusion. I absolutely give it my stamp of approval. Lister’s conclusion, of course, means that “suffering does not pertain to God in the way that modern passibilists would have us believe” (260). Lister concludes the book with a reflection on the incarnation and its relationship to this doctrine of impassibility. This concluding chapter was surprisingly my favorite chapter. Lister’s argument in this chapter is important, because modern passibilist arguments most certainly hinge on the incarnation. “The passibilist argument from the incarnation usually hinges on Jesus’ experience of suffering and death, believing that if the experience of divine suffering and death can be extrapolated from the incarnational union, then the broader conclusion of divine emotional passibility necessarily follows as well” (261). Lister dissents from this thinking by relying on solid and Chalcedonian Christology. “Jesus’ experience of human suffering and death does not invalidate the impassibility of his divine nature, and neither does his experience of human emotions” (262). First, says Lister, it is not the nature of Christ which suffered, but the person of Christ. The nature merely exposes him to the experience of suffering, which he endures in and divine/human person. “The person of the Son experienced suffering and death humanly” (274). But, to borrow Bruce Marshall’s words, “As much suffers as can: the whole person, on account of his human, not his divine, nature” (quoted on 274). According to Lister, this way of thinking of the natures “avoids the problem of abstractly hypostasizing one of Christ’s natures and making that the seat of experience” (274). Secondly, Lister utilizes the orthodox model of the divine and human minds of Christ, arguing that the two minds in Christ were not symmetrical. Jesus Christ thought with a human mind and depended upon the Spirit for his access to divine knowledge. “Jesus’ anguish was humanly experienced and completely real, since throughout his passion the Spirit was restricting access to his divine mind.” This means that Jesus took upon himself a human nature, which enabled to do something which he was naturally incapable of doing – suffering. It also means that his divine mind did not suffer. This is a barrier against the passiblist insistence that the incarnation subjected the divine nature to suffering. Thirdly, Lister appeals to the extra Calvinisticum, which according to Muller, “argued that the Word is fully united to but never totally contained within the human nature” (quoted on 277). Lister’s appeal to the extra Calvinisticum means that, contra Moltmann, “despite the reality of all the self-conscious distress of Jesus’ passion, the ontological Trinity was not so rent…the Son…did not ontologically cease to be the Son for the duration of the crucifixion” (278). Lister’s argument in the closing chapter is essentially that an orthodox Christology is protection against the arguments of passibilists. In fact, he doesn’t quite go as far as to accuse passibilists of being heretics, but it seems to be inescapably implied that some forms of the passibilist arguments imply a borderline Apollinarian Christology. The fact is, errors regarding the nature of God and his interaction with creation do not occur in isolation. An argument for divine passibility that hinges on the incarnation exposes itself to Christological errors if it does not tread carefully. Most readers can already see that I adored God is Impassible and Impassioned. It is easily my favorite book of 2012, and I am filled with joy knowing that there are still solid works of theology being produced which do not shy away from the historic doctrines of the Christian faith. Although there are philosophers out there who will not care for this book and will probably snobbishly turn their noses up at its conclusions and its none-to-complex arguments, this is a book that has been needed, and I will gladly turn those who struggle with impassibility towards it for many years to come.